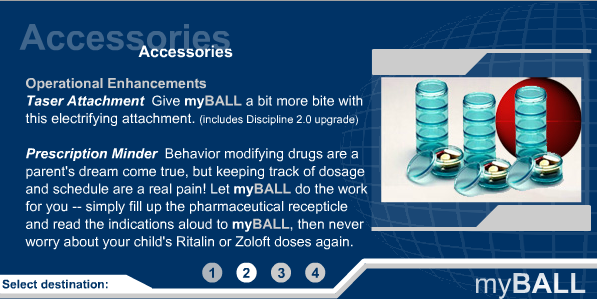 myBALL is a satirical work masquerading as an informative Flash-based commercial site. It presents an innovative children's toy, myBALL, which is a robotic friend and robust parental surveillance unit. The work satirizes the rhetoric and reasoning of so many commercial ventures, as well as the rhetoric and content of commercial media arts.